Those in charge at Montalcino are currently doing their best to keep the lid on an ominously rumbling pressure cooker, and this invites reflection. Why the rumbling? Rumors of counterfeit wines. Actually, they're more than rumors: Before Benvenuto Brunello a friend and colleague told me that a dinner guest of his had told him that a fairly large -- several hectare -- vineyard not planted to Sangiovese had been found in the course of an inspection of one of the major Brunello producers. This would have been fine had the vineyard been destined to the production of Sant'Antimo DOC, which is Montalcino's catchall appellation for wines that contain things other than Sangiovese. Unfortunately, the vineyard in question was "atto a Brunello," for the production of Brunello -- winemakers must declare what their vineyards are for -- and since Brunello can contain only Sangiovese that vineyard shouldn't have had other varietals. But it did, and the Magistratura (essentially the DA) launched a criminal investigation for fraud, which is ongoing, and -- rumor has it -- has expanded to include several other major producers, who also have non-Sangiovese varietals in their Brunello vineyards. 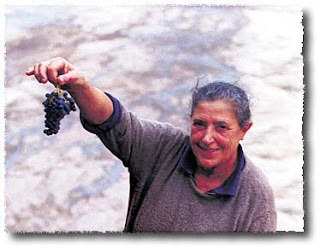 "Insistent and worrisome rumors reach us from Montalcino, and also from Germany and Holland, to the effect that several wineries (4-5) have been seized after the discovery, by the NAS -- The Carabinieri's food fraud unit -- and the Guardie di Finanza -- the Revenue people -- of Puglian wine that was sold (or rather passed off) as Brunello di Montalcino. "The charge is said to be the usual "frode in commercio e falso in atto pubblico", commercial fraud and public falsehood…" (translation mine, see Franco's post). As one might expect, the effect of Franco's post was like kicking a hornet's nest; a great many other bloggers weighed in, many saying it's about time (there are always rumors of fraud, but they rarely come to much), and a few -- Franco quotes Wine Spectator's James Suckling -- saying that what's going on is driven by envy and will turn out to be a tempest in a teapot. Then, yesterday, La Repubblica, one of the major dailies, said in a short piece that fully a quarter of all Brunello might be at risk (what I said about conjecture…). Faced with a mounting wave the Consorzio took the extraordinary step of sending out a blanket email informing us that since 2004, when they began inspecting member vineyards (in 2002 the Italian government charged the Appellations with making certain their members followed the rules), they have found 17 hectares of non-Sangiovese vines, in a total of 1667 hectares of Brunello vineyards inspected. Less than 1% of the total acreage is not what is should be. On the one hand, this is reassuring: Most people are playing by the rules. On the other it is not, because we don't know how those acres are distributed. The occasional different vine in a vineyard planted to a density of 6-8000 vines/hectare can occur, because nurseries do make mistakes when they deliver (Marchesi Pancrazi's entire Pinot Nero vineyard, whose wines now win awards, was a mistake -- the nursery was supposed to deliver something else). But I have the impression that the occasional mistake is not what we're talking about here -- it certainly wasn't in the case of the winery my friend mentioned months ago, because a several-hectare vineyard with the wrong vines is not the isolated Cabernet, Merlot, or even Colorino vine surrounded by legitimate Sangiovese vines. And while it's true that when cuttings (which look like sticks with a root grafted to them) are planted, one plants on faith, assuming the nursery supplied what it said it supplied, when said cuttings grow into vines and begin producing fruit, one can see what they are. And if they're the wrong thing, one rips them out and sues the nursery, or at the very least changes the designation of the vineyard. One doesn't continue declaring the vineyard to be a Brunello vineyard (and making "Brunello" from those grapes) when it no longer qualifies. Nor does one leave the isolated Cabernet or whatever vine there, because it doesn't belong and that's that. But is seems that some people have, and here's the rub. Does this mean all Brunello is suspect? Certainly not, not any more than the persistent rumors one hears every year of Brunello (and other northern appellations including French) being cut with inky dark, concentrated, alcoholic wines from the south. Some winemakers will do it, and then the question becomes which, and why. The which is easy: Winemakers, like everyone else, have all sorts of personalities. On one end of the spectrum are the upstanding who follow the rules. Because they're rules and serious people live by them. On the other are those people who are great fun at a party, but you wouldn't trust with your house keys. If the rules are convenient (for them) they follow them, and if they aren't they don't. The former's Brunello will be Sangiovese and nothing but no matter what the vintage was like, while the latter's may not be -- if they think they can work around the regulations to counter nature's adversity or get ahead they will, especially if they think they have to. And this brings up the more interesting question, why would one cheat? After all, the risks are enormous, because if one is found out one is (ahem) screwed -- a sales rep who handles one of the wineries under indictment posted a comment on Franco's blog saying he's been told not to sell any of that winery's 2003 Brunello indefinitely. The answer is multifaceted, and in part imponderable. In the case of a small winery, I can think of three reasons: Willingness to gamble, laziness/incompetence, and a desire to make "what the markets want;" with this latter factor becoming much more important for larger wineries. To begin with the gambling, some people are simply willing to gamble. I don't understand it. Laziness/incompetence? A small winery that works well, and makes good wine, will always be able to find someone willing to buy the volume it produces. If it works less well, the owners may decided to cut corners, turning to outside help to get the concentration, color, or whatever they were unable to achieve on their own. And this brings up "what the market wants." As I said, a small winery that makes good wine (of any style, from the traditional austerity to the most opulent starlet in a glass) will always find someone interested in purchasing it. A large winery that makes several times the volume of the smaller winery is in a much more difficult position, because it cannot wait for the impassioned wine merchant/importer to say "This is the wine I like and will sell to my customers!" It instead has to find many purchasers, and is therefore much more conscious of what the wine press speaks admiringly of, leading the vast mass of wine consumers to seek: Depth of color, concentration, power, smoothness of tannin, richness of fruit and so on. And if what's in the glass the large winery's enologist draws from the cask doesn't match what the press is favoring, he or she may well decide to make it so, with outside help (the owner or enologist of a small winery that wants high scores may also do this). In other words, some winemakers of most every appellation -- Brunello producers are certainly not unique -- will bend the rules for a variety of reasons, and though some are more understandable than others, I don't approve of or condone any. I would venture that the winery my friend heard about at dinner was trying to make what it thinks consumers will like, because it has to move a lot of wine. And it's successful, because its wines get good ratings -- I've read them. This doesn't justify what the winery did, though I can understand why it did it, and I will be quite curious to see who else has gotten caught in the net. And what would I suggest to people thinking about buying a Brunello? Traditionalists are much less likely to be involved in this sort of thing than innovators, for the simple fact that though full bodied, traditional Brunello is neither packed with color nor tremendously concentrated. With this in mind, I'd say the same thing I've been saying all along: 2002 and 2003 were very poor vintages, and there aren't many wines I would consider buying of either. 2001 and 1999 are vastly superior (of the sort there would have been much less pressure to "correct;" the incriminated wines are said to be 2003) with many very good wines to be enjoyed. If you have read my notes, you'll know what I said I would look for at the vintage presentations, and I think I would continue to look for the same wines now. In particular, see here for the 2001 Brunello, and here for the 2001 Brunello Riserva. 2004 was a very fine vintage, and therefore one might expect it to have been a banner year for the Veneto's most sought after wine. It is and it wasn't and this invites reflection. But first, some background. Though Amarone is now eagerly sought out by connoisseurs, this hasn't always been the case, and indeed one can gather this from the name. It's a wine that's made by allowing the grapes, a blend of primarily Corvina and Rondinella (Molinara, the third major grape of the traditional blend, is no longer required because it was primarily a filler that would guarantee quantity in vintages when the others failed) and some complementary varietals to dry on mats late into the fall, and then fermenting the raisins. The original goal of this tremendous labor was Recioto, a sweet red wine that dates back to the Romans, and which was the stuff of nobility and kings in the days before processed sugar, when sweets were a treasured rarity. Recioto is still beloved of the winemakers of Valpolicella, but over the past 50-75 years the popularity of Amarone has soared among wine drinkers the world over, and those who are inclined to make lists rank it on a par with the other great Italian reds, Brunello, Barolo and Barbaresco. For the region (and the wine) this is a mixed blessing. For the region, because the same blend of grapes is also used to make both Valpolicella and Valpolicella Superiore, and the much higher price that Amarone commands tempts winemakers to divert grapes to the production of Amarone. As a result, the production of, especially, Valpolicella Superiore is squeezed. A relative lack of what would be considered a Riserva in other appellations is, I think, detrimental to the Valpolicella appellation, because it means that the supply is concentrated at the extremities, as it were, with an abundance of quaffing wine (Valpolicella) and quite a bit of very expensive wine, the Amarone, but not as much in between (i.e. what one breaks out for a nice meal that's not a major Event) as there should be. The high prices Amarone commands are also, I think, detrimental to Amarone, because producers are tempted to jack up production, putting grapes that would have been better in a lighter wine onto the drying mats together with the very best. The result is an Amarone that has the concentration and high alcohol content typical of the wine, but feels forced, and I found a number of the at the presentation of the 2004 vintage. I also found wines that will be frankly superb, and this brings up another point: Amarone is a wine that needs time. Years; I wouldn't drink any of the wines we were poured before 2010, and if I could would give them much longer, decades even. Amarone has that sort of a lifespan, and richly rewards those who give it the time to grow and develop. For a much more detailed look at the commercial situation surrounding Amarone (in Italian), see Franco Zilian's post on Vino Al Vino. Put briefly, he's not at all happy with the situation, because he thinks it's being overproduced, and fears a crunch may be coming (one of the statistics he prints, that the value of the unsold Amarone in winery cellars, 170 million Euros, is close to the total value of the all the wine sold by Valpolicella producers, 220 million Euros, supports his fears -- a lot of Amarone isn't moving). Returning to the Amarone presentation: Good Amarone is superb, but because of the production strategies surrounding the wine it's not a sure bet, and consumers should select with care, even in the best of vintages. Deep garnet ruby with black reflections. The bouquet is powerful, with sandalwood and licorice root mingled with red berry fruit and a fair amount of alcohol, and some slight underlying greenish accents. On the palate it's fairly full, but drier than I expected, with moderately rich cherry plum fruit supported by tannins that have a tongue-drying cedar overlay to them and flow into a dry tannic finish with some plum accents with savory overtones. It's not as clean as I'd have hoped, and also has been dried by wood. This said, because of its power and the tannins it will drink well with hearty stews or fatty roasts that need something to clear the palate between bites. Expect it to age well for at least 10 years. Deep garnet ruby with garnet in the rim. The bouquet is powerful, and fairly sweet, with jammy plum berry fruit accents mingling with licorice root and clean spice, with some mint and graphite shavings as well. Lively in a rich rather voluptuous key. On the palate it's full, with rich cherry fruit laced with considerable bitterness and supported by smooth sweet tannins that carry into a long bitter finish. Quite elegant in a very young international key, and it needs another 2-3 years to get its bearings, at which point it will drink well with hearty stews or roasts, including spicier fare such as goulash, or even a bollito misto. It will also reward those with patience to give it time, and age well for at least a decade. Garnet with black reflections and almandine rim. The bouquet is frankly rustic at first swish, with a rush of barnyard tang mingled with animal musk, which opens with swishing to reveal savory accents with slight mentholated aromas and some leaf tobacco. Not much fruit. On the palate it's full, with moderately intense cherry plum fruit supported by smooth sweet tannins that flow into a clean plum laced finish with sandalwood underpinning and hints of licorice. It's very young, in a fairly traditional key, and though it won't stand out at a tasting, it will, I think, do interesting things with time, gaining a delicate, lacy grace. But you have to like the more traditional style. Deep cherry ruby with black reflections and cherry rim. The bouquet is rich, and fruit driven, with powerful black currant fruit laced with red berry fruit and sweetish, slightly sandalwood-mint accents. Opulent, of the starlet in a glass variety. On the palate it's full, and very smooth, with powerful black currant and forest berry fruit supported by very smooth tannins and just enough acidity to provide direction, and it all flows into a clean currant laced finish with tantalizing, slightly sweet hints of licorice. It's quite international in style, and if you like the style you will enjoy it very much. But you do have to like the smoother softer style; it will drink well with succulent, drier roasts. Deep pyrope ruby with violet overtones and black reflections. The bouquet is powerful, with cherry and plum fruit laced with sweetness and some sandalwood with some hints of wet plaster that sound odd but add depth; it's elegant in a rich key and brings Recioto to mind because of its sweetness. On the palate it's full, and fairly sweet, with powerful plum fruit that gains direction from cedar acidity, and is supported by smooth sweet tannins that flow into a clean plum-laced finish with a sweet sandalwood underpinning. It feels more like an ammandorlato than a true Amarone fermented all the way to dryness, and will drink well with hearty stews, especially things along the lines of goulash. I enjoyed it, but if you prefer drier red wines it is a touch sweet. Deep black cherry ruby with black reflections and cherry rim. The bouquet is fairly intense, but not as clean as I might have hoped, with barnyard tang mingled with spice; there isn't much in the way of fruit, and with more swishing savory accents emerge. On the palate it's fairly rich, but also woefully young and going several directions at once; the fruit is cherry laced, while the tannins have an angry cedar/graphite shavings burr and flow into a clean very bitter finish. While some toddlers look good and suggest they will be handsome as adults, others do not, and this one is ham fisted. It needs time. Too young to score. Deep black almandine ruby with black reflections and almandine rim. The bouquet is elegant, with clean berry fruit supported by cedar and some greenish accents; the overall impression is quite harmonious. On the palate it's full, but not quite as full as I expected, with elegant cherry fruit supported by some forest berry acidity, and by smooth sweet tannins that have faint sandalwood overtones and flow into a clean sandalwood and berry fruit finish. It's quite elegant, though in mid-stride, and though one could drink it now with a stew or roast, it will richly reward those who have the patience to give it another 5-10 years to develop. Worth seeking out if you like wines that revolve more around subtlety and finesse than power. Deep black garnet ruby with black reflections and cherry rim. The bouquet is obviously in the formative stage, a polite way of saying it's shut tight, though something -- some sandalwood and hints of fruit -- manage to emerge. Promising in any case, but not there yet. On the palate it's full and quite rich, with powerful cherry fruit that gains depth and direction from a combination of graphite bitterness and clean berry fruit acidity, and is supported by smooth sweet tannins that flow into a long clean berry fruit finish. It will have great depth and elegance when it gets where it's going, in 3-5 years, and will develop beautifully for many years thereafter, but at present it's at the start of a long journey. In other words, a wine to set aside, but not drink now, and if you or your heirs will be celebrating on down the road it's worth seeking out and setting aside. But not for now. Deep black almandine with black reflections and almandine rim. The bouquet is fairly intense, with nose-tingling spice and sandalwood mingled with some red berry fruit. On the palate it's full, and quite young, with fairly rich, moderately sweet red berry fruit supported by clean sweet tannins that flow into a clean sandalwood-laced finish that still has some oaky overtones. It's a babe in swaddling clothes, and needs another couple of years to get its bearings; this said, I found myself wishing it were a little more refined than what I found. Deep black cherry ruby with black reflections. The bouquet is fairly rich, with forest berry and black currant fruit supported by hints of sandalwood and slight mentholated accents, with underlying spice. Pleasant. On the palate it's full and rich, with powerful warm cherry plum fruit supported by sandalwood accents and some warmth, while the tannins are quite smooth, and flow into a clean slightly bitter berry fruit finish with (again) hints of sandalwood. Quite nice, though very young; it will drink nicely now with a hearty succulent roast or a rich stew, but will gain considerably in finesse and elegance as it ages, and will be worth meditating over in the future, say a decade from now. Impenetrable pyrope ruby with black reflections and cherry rim. The bouquet is powerful, and frankly jammy, with black currants and forest berry fruit mingled with some sandalwood and sweet overtones that bring a Recioto to mind. On the palate it's full, but a bit drier than I had expected, with black currant and plum fruit supported by tannins that have a warm cedary burr that covers all, and flows into a clean cedar laced finish with underlying sweetness. There's a lot of oak here, and the wine has yet to digest it; if it does it will be quite smooth in an international key, but that will take a few more years. At present it will drink best with succulent to fatty red meats, but I would be tempted to give the body time to catch up with the nose. Deep black cherry ruby with garnet reflections and cherry rim. The bouquet is muted, and clearly developing, though swishing brings up berry fruit laced with sandalwood bitterness and underlying spice. A work in progress. On the palate it's ample, with moderate fruit that is supported by dry bitter tannins that flow into a clean bitter finish with some tannic accents and some warmth. I'd have liked greater richness of fruit than I found. Deep black almandine ruby with black reflections and almandine rim. The bouquet is fairly rich, with considerable sandalwood mingled with some spice, and underlying bitterness laced with barnyard tang. Not much fruit. On the palate it's brighter than the nose suggests, with fairly rich cherry fruit supported by some sweetness, and by bright cherry red currant acidity, while the tannins are greenish, with a fairly marked sandalwood underpinning that flows into a clean, slightly sweet sandalwood finish. It's toddling, and unsurely at that; it will do interesting things with time, becoming elegant in a graceful, lacy key, but that's at least 2-3 years down the road. In other words, a pleasant wine in a traditional key, but much too young to drink now. If you like the style, it's worth buying and setting aside. Deep slightly purple ruby with black reflections. The bouquet is fairly intense, with forest berry fruit supported by some vegetal accents and a fair amount of sandalwood, with underlying spice. Quite young. On the palate it's full, and fairly sweet, with cherry plum fruit supported by hints of licorice and sandalwood, with mineral acidity to provide depth, and slightly greenish sandal laced tannins that flow into a clean greenish finish with sweet underpinning. It's more an ammandorlato than a fully dry Amarone, and if you like this style has considerable grace to it, though it needs time to come together and grow. It will work well with succulent, even spicy roasts, or rich hearty stews. But do give it time, 2-4 years at least, and perhaps more. Deep black almandine ruby with black reflections and almandine rim. The bouquet is elegant, in a rather haunting way, though very young, with cherry plum fruit that has some forest berry fruit accents supported by greenish sandalwood and spice, with underlying warmth. A (young) adolescent. On the palate it's full, but not as rich as I had expected, with moderately intense cherry plum fruit supported by smooth tannins that have a cedar overlay to them, and flow into a clean berry fruit finish; I might have liked greater richness to the fruit, which gives way to the tannins and allows them to carry the show, especially in the finish, which is a bit dry. As is the case with many of these wines, it is up in the air, and I trust that the tannins will fold in with time, but I would have liked a little more fruit. Deep black almandine ruby with black reflections and cherry rim. The bouquet is fairly intense in a youthful key, with forest berry fruit and plum fruit laced with berry fruit jam, and supported by sandalwood and spice; I found it growing upon me as I swished. On the palate it's full, and rich, with powerful cherry plum fruit supported by clean sweet tannins that gain depth from a slightly greenish sandalwood underlay, and flow into a clean bright finish. Quite elegant, though in diapers; it will, I think, become very interesting with time, though at present it is at the beginning of a long journey. I wouldn't think of opening it before 2011, and would expect it to do wonderful thing in the decade following. In short, a wine to set aside. If you must drink it now, do so with a rich stew or roast. Deep black cherry ruby with black reflections. The bouquet is fairly rich, in a decidedly greenish youthful key; with sandalwood and some berry fruit supported by slight acidity and pleasant greenish overtones. On the palate it's full, with fruit that's pleasant but a touch less intense than I might have expected, supported by clean sandalwood laced tannins that have a peppery cedary underpinning, and flow into a clean sandalwood laced finish. Pleasant, in a slightly understated way, and is still working to find itself; it needs another year for all the pieces to fall into place. One could drink it now with succulent red meats, but I think it will reward those who give it time. Deep black almandine ruby with black reflections and cherry rim. The bouquet is fairly rich, with greenish sandalwood mingled with jammy berry fruit with underlying spice; the impression is one of airiness, and also subtlety in a very young key. On the palate it's full and fairly rich, with elegant cherry plum fruit laced with some sandalwood acidity, and supported by smooth sweet tannins that flow into a clean fairly dry fruit laced finish that gains direction and depth from sandalwood bitterness and slight graphite. It's very young, but graceful, and will develop quite nicely over the next few years, becoming lacy with time. If you like this fairly austere style you will like it very much, and it will only get better. Deep black cherry ruby with black reflections and ruby rim. The bouquet is greenish, with red berry fruit and a fair amount of cedar, which is actually more imposing than the fruit. On the palate it's full, and fairly rich, with bright cherry and forest berry fruit supported by clean slightly greenish tannins, while there is also an underlying sweetness that adds depth and direction, and it all flows into a fairly sweet greenish finish. It's not quite ammandorlato, but not dry either, and my overall impression is that it's fairly direct. Though this is in part a factor of youth, I doubt it will ever be as complex as some. Deep black cherry ruby with black reflections and hints of black almandine in the rim. The bouquet is savory, with greenish accents mingled with slight balsamic notes at the outset, and further swishing brings up some sandalwood. Not much fruit. On the palate it's full, with moderate rather dry cherry fruit that's overshadowed by savory sandalwood accents, and flows into a warm savory sandalwood finish with slight hints of balsamic berry fruit. It's a bit rustic, and you should only consider it if you like this style; it will in any case drink well with succulent red meats or hearty stews. Expect it to become lacy with time, though the basic character will likely remain the same. Deep black almandine ruby with black reflections and black cherry rim. The bouquet is fairly green, with penetrating balsamic notes mingled with greenish accents and some spice; with more swishing some dried flowers also emerge, and also spice. Pleasant, though in a more mature key than many. On the palate it's full, and a little flat, with moderately intense berry fruit that's overshadowed by warm savory overtones, and supported my smooth savory tannins that flow into a clean savory finish. It's a touch settled, and I found myself wanting greater richness of fruit; this said, I would drink it with hearty roasts or stews. Deep black almandine ruby with black reflections and cherry rim. The bouquet is fairly rich, with powerful sandalwood mingled with greenish accents and some cedar, and underlying red berry fruit with red currant acidity to provide direction. On the palate it's full, with fairly rich cherry fruit that gains direction from sandalwood and hints of balsamic warmth, and is supported by smooth sweet tannins that flow into a clean fairly dry finish with a mixture of balsamic notes and sweetness derived from alcohol, which is fairly high. It's elegant, in a very young key, and needs time, at least 2-3 years, before it has its leg about it. When it's ready it will drink well with rich stews or hearty roasts along the lines of leg of lamb. Impenetrable black garnet ruby with black reflections and garnet rim. The bouquet is fairly rich, with sandalwood mingled with some berry fruit and plum jam laced with cut violets (unusual, but that's what I smell) underlying it all. Quite a bit going on, and it gives an impression of being in stride, towards a goal. On the palate it's full, with fairly bitter sandalwood-laced berry fruit supported by moderate acidity and smooth bitter tannins that flow into a clean bitter finish. It's pleasant, in a rather austere key, and more about bitterness and its interaction with tannins than about fruit, but I found myself rather enjoying it. If you like the style it will drink well with fattier grilled meats, or even with a rich Veronese boiled dinner. Deep black cherry ruby with black reflections and cherry rim. The bouquet is intense, with sandalwood and savory accents mingled with India ink and graphite shavings; there's not much fruit. On the palate it's full, and rich, with powerful fairly sweet cherry plum fruit that gains direction from smooth plum acidity, and is supported by smooth sweet tannins that flow into a clean fairly sweet berry fruit finish. Elegant, in a rich key that brings Recioto to mind, and given the palate I would give the nose a year or two to catch up. Drink it with flavorful even spicy stews or hearty roasts, and expect it to age quite well for a decade or more. Deep black almandine ruby with black reflections and almandine rim. The bouquet is fairly rich, with elegant jammy plum cherry fruit that gains depth from sandalwood and some spice; though it's young it's also harmonious. On the palate it's full, and smooth, with fairly intense plum fruit that gains direction from some sandalwood bitterness, and is supported by clean tannins that have a sandalwood-cedar burr, and flow into a clean fairly dry slightly butter finish. It's quite young, but also quite promising, and will drink very well with a roast or stew now, though those who are willing to give it time will be happy that they did. A wine to set aside. Impenetrable black almandine ruby with black reflections and black cherry rim. The bouquet is fairly rich, with balsam-laced berry fruit that has some underlying greenish accents, and is supported by a fair amount of sandalwood. On the palate it's full, with the structure coming in large part from warm, savory balsamic tannins, while there is some fairly tart fruit as well, and it flows into a clean savory balsamic finish. I'd have liked greater richness of fruit, and also perhaps less maturity of same; it has a slightly tired feel to it. Impenetrable black almandine with black cherry reflections and ruby rim. The bouquet is fairly intense, with red berry fruit supported by sandalwood and slight greenish accents, and gains depth from some savory notes as well; I found it growing upon me. On the palate it's full, with fairly rich cherry plum fruit that gains direction from a sandalwood acidity underpinning, and is supported by tannins that have a warm, slightly greenish burr to them, flowing into a clean slightly greenish savory finish. It's elegant, in a fairly traditional key, and also very young; it would give it at least 2 years to get its bearings, and then drink it with succulent roasts or stews, or give it longer, by which time it will become lacy, and sip it alone. If you like the more traditional style you will enjoy it. Impenetrable black almandine ruby with black reflections and black almandine in the rim. The bouquet is intense, and haunting, with greenish accents mingled with balsam and green leather, and slight wet horse as well, with underlying spice to provide direction. On the palate it's full, with fairly rich cherry plum fruit that isn't as well defined as I'd have liked -- there's a distracting balsamic undercurrent to it -- supported by greenish splintery tannins that flow into a clean bitter finish. It needs time, another 3-5 years, and with time will likely clean up in a fairly traditional key, drinking well with rich stews or roasts, but it needs that time. If you instead prefer more modern style wines, it won't work as well for you. Deep black almandine ruby with black reflections. The bouquet is muted; swishing brings up some plum sweetness mingled with chemical accents, in particular iodine. Not much fruit. On the palate it's full, and fairly sweet, almost surprisingly so, with moderate cherry plum fruit supported by sweet accents and peppery spice that flow into a clean spicy finish with licorice overtones and dusky brown sugar sweetness that at least in part comes from alcohol. It's quite charged, but not as rich in fruit as I might have liked, and the other elements end up carrying the show forward. I'd have liked greater depth and more fruit. Impenetrable black almandine with black reflections. The bouquet is intense, with red berry fruit laced with sandalwood and slight balsamic note, and some pleasant greenish accents that have a rather ethereal feel to them. Very young, but going in the right direction. On the palate it's full, with rich berry fruit, a mixture of cherries and red currants that also supply acidity, supported by sandalwood laced tannins that have greenish overtones and flow into a clean fruit laced finish with sandalwood bitterness. Young, but quite pleasant, and will drink very well with succulent roasts or rich stews now, though if you have the patience to wait it will have much more to say. Deep black almandine with black reflections and dark almandine rim. The bouquet is powerful, and fairly sweet, with a heady mixture of berry fruit jam and slight sandalwood that brings a Recioto to mind, and is supported by hints of cut squash. Voluptuous, with quite a bit going on, and it invites a second sniff. On the palate it's full, with fairly rich cherry plum fruit that's more acidic than I expected from the nose, and also has balsamic overtones that were completely unexpected, while the tannins are warm and savory, and flow into a clean slightly bitter savory sandalwood finish. It's up in the air at present, and needs another year overtones get its bearings; this said, if you serve it with a succulent leg of lamb now it will work very well, and I expect that it will also age nicely, becoming lacy with time. Worth seeking out to set aside. Deep black almandine ruby with black reflections and deep cherry ruby rim. The bouquet is intense, with greenish accents that bring watermelon rinds to mind at first sniff, followed by sandalwood and warmth, with nose tingling spice and some jammy accents. Nice balance, though very young. On the palate it's full, and rich, with jammy cherry plum fruit supported by a combination of sweetness from fruit and dusky graphite bitterness that is quite nice, while the tannins are clean and sandalwood laced, and flow into a clean sandalwood finish. It's pleasant, in a fairly traditional key shifted more towards ammandorlato than dry Amarone, and also almost painfully young; one feels like a child molester when drinking it. This said, it will work now with rich stews, including spicier dishes such as goulash, though it will reward those with the patience to give it a few years, or even many. Deep black almandine ruby with black reflections and black almandine rim. The bouquet is powerful, with dusky greenish accents mingled with sandalwood and penetrating balsamic spice that has some barnyard tang to it; underneath this all there is some menthol and red berry fruit. Brooding. On the palate it's full, and fairly sweet, with elegant cherry fruit that gains direction from some sour cherry acidity, and is supported by smooth sweet tannins that have sandalwood overtones, and flow into a slightly smoky berry fruit finish. Quite elegant, in a way that brings ammandorlato to mind more than a completely dry Amarone, and if you prefer dry wines it will perhaps not work for you. Then again it might, because there's something captivatingly exotic about it, and I would be tempted o drink it with like-minded friends far from the table. Impenetrable black almandine with black almandine rim. The bouquet is fairly intense, and a bit wild, with barnyard tang mingled with penetrating balsamic notes, and some savory bitterness, but not much fruit. On the palate it's full, though the fullness is more tannic than fruit driven, and it flows into a bitter savory finish. To be frank I had expected more; it brings to mind a large, rather empty hall that should be filled with fruit but sadly isn't. Deep black cherry ruby with black reflections and some cherry in the rim. The bouquet is fairly metallic, with some savory accents and hints of balsam, but not much fruit. On the palate it's full, with the fullness mostly tannic, and moderate fruit supported by savory accents that flow into a clean savory finish. I'd have liked more fruit than I found. Deep black almandine with black reflections and almandine rim. The bouquet is airy, with a fair amount of bitterness mingled with India ink and minerality; there's not much fruit to the mix, however. On the palate it's ample, with the structure primarily from savory tannins, while there isn't too much fruit to hold it together; I'd have liked more fruit than I found. Fairly deep black almandine with black reflections and rim. The bouquet is frankly rustic, with barnyard tang mingled with some balsamic notes and warmth, and though there are sea salt overtones there's not much fruit. On the palate it's full, with richer than expected savory plum fruit supported by smooth sweet tannins that have pleasant sandalwood overtones, and flow into a clean savory finish with sandalwood accents. It's distinctly traditional, in a rustic key, and if you like this style you'll find that it has quite a bit to say; I found the palate to be better than the nose at present and would give it a year or two to come together, expecting it to age nicely for a decade or more. Worth seeking out if you like the style, though if you prefer modern fruit driven wines it won't be a good bet for you. Deep black almandine ruby with black reflections and cherry rim. The bouquet is fairly intense, with plum fruit laced with sandalwood and berry fruit jam, and pleasing underlying spice; there's some sweetness as well, though perhaps not enough to think in terms of an ammandorlato. On the palate it's ample, and fairly sweet, with elegant plum fruit supported by clean slightly greenish sandalwood tannins, and by pleasant savory accents as well, that flow into a clean bitter savory finish with some fruit. It's pleasant in a decidedly sweet key, though I would have liked a greater richness to the fruit, which yields center stage to the other elements. Deep black almandine with black reflections and almandine rim. The bouquet is fairly intense, with balsamic notes laced with savory accents and spice, with sandalwood as well, and wet animal hair. Not much fruit. On the palate it's full, and fairly rich, with sweetish plum fruit whose sweetness is at least in part from alcohol, supported by greenish savory tannins that flow into a warm clean finish. It's fairly direct, and I doubt it will gain in complexity with time. Deep black almandine ruby with black reflections and almandine rim. The bouquet is intense, with India ink mingled with greenish sandalwood accents and underlying bitterness, while there is also hardwood ash and sea salt, with hits of green leather and underlying cherry and forest berry fruit. Quite a bit going on, in a young key that's in mid stride. On the palate it's full, with fairly intense cherry fruit supported by dusky graphite bitterness, while direction comes from equally dusky savory acidity, and it flows into a clean savory fruit laced finish that gains definition from underlying bitterness. It's elegant, in a youthfully muscular key, and will gain considerably with time, though one could enjoy it now with a succulent roast. Expect it to age nicely for a decade at least, in any case. Deep black almandine ruby with black reflections and lam rim. The bouquet is fairly rich, with iodine mingled with some spice and slight sandalwood, with underlying hardwood ash. On the palate it's ample and smooth, with moderately intense savory plum fruit supported by peppery spice and smooth tannins that flow into a clean fairly savory finish. It's direct, in an up-front sort of way, and will drink well with succulent red meats, especially things off the grill or from the oven. Deep black cherry ruby with black reflections and cherry rim. The bouquet is rich, in a greenish sort of way, with sandalwood and balsam mingling with green leather and rather haunting spice, though there isn't much in the way of fruit. The palate reflects the nose, with greenish accents and hardwood ash spiciness, mingled with balsamic notes, but not much in the way of fruit, while there is instead ample alcohol that provides considerable warmth. I would have preferred more fruit than I found. This said, because of its aggressive power, it will drink well with fattier meats. Impenetrable black almandine with black reflections and lam rim. The bouquet is intense, and rather bitter, with hardwood ash mingled with balsamic notes and warmth, with underlying bitterness, but not much fruit. On the palate it's full, with much of the fullness coming from savory tannic accents and peppery spice, but again, not as much fruit as I would have liked. Drink it with succulent stews or hearty roasts that will balance its spicy, peppery power. Deep black almandine with black reflections and almandine rim. The bouquet is fairly rich, with cherry fruit supported by spicy berry jammy berry fruit accents and hints of gum Arabic, and some greenish sandalwood as well. On the palate it's ample and smooth, with moderate berry fruit that's overshadowed by peppery spice, and flows into a clean peppery finish with underlying tannic support. I'd have liked greater richness and lushness to the fruit, which falls short with respect to the body of the wine. Impenetrable almandine ruby with black reflections and almandine rim. The bouquet is smoky, with hardwood ash supported by some balsamic notes and spice, but not much fruit. On the palate it's ample, with fairly rich smoky plum fruit that is more tart than rich, and is supported by bitter accents that flow into a clean bitter smoky finish It's powerful, but lacking in the lushness that makes an Amarone enjoyable to drink. Deep black almandine with black reflections; it's almost poured ink. The bouquet is fairly intense, with sandalwood mingled with red berry fruit and some jammy notes, and some underlying greenish spice. On the palate it's full, and rich, with powerful red berry fruit supported by clean spicy tannins that flow into a clean, slightly greenish bitter finish. It's quite young, but will drink well with succulent roasts or hearty stews now, and will age nicely, becoming lacy over the next decade or two. In short, direct now, but destined to grow in a very interesting way with time. Impenetrable black almandine with black cherry rim. The bouquet is fairly intense, with jammy black currant fruit laced with India ink and some minerality with underlying heather from a cut field, which might sound odd, but works well. Nice depth. On the palate it's fairly rich, with powerful cherry plum fruit supported by smooth sweet tannins, while direction comes from pleasing sour plum acidity, and it all flows into a clean slightly bitter finish. Pleasant, and will drink well now with succulent roasts or stews, though it will reward those who have the patience to give it time. Expect it to come into its own in about 10 years. Deep black cherry ruby with black reflections and black cherry rim. The bouquet is powerful, and sugary, with a mixture of berry fruit and brown sugar with underlying alcohol and red berry fruit. Airy. On the palate it's full, and sweet, though not as sweet as a Recioto, with bright cherry and forest berry fruit that gains direction from sour berry fruit acidity, and is supported by sweet tannins that flow into a clean cherry and forest berry fruit finish. It's quite lively, and will drink very well with stews or roasts now, and will also age well for a number of years. In short, a wine to enjoy now, and also to set aside for the future. Worth seeking out. Deep black almandine with black reflections and black cherry rim. The bouquet is fairly rich, with hardwood ash mingled with spice and some sandalwood, but not much fruit, On the palate it's full and fairly sweet, with cherry plum fruit supported by spicy tannins that flow into a clean spicy finish. I'd have liked greater depth to the fruit than I found; this said, it will drink well with flavorful red meats now, especially fatty roasts that will benefit from the peppery tannins, and will age nicely for at least a decade. Impenetrable black almandine ruby with black reflections. The bouquet is intense, with overripe cherry plum fruit supported by some greenish sandalwood spice and peppery accents, and it is all supported by sweetness that brings a Recioto to mind, On the palate it's fairly sweet, with rich dusky plum fruit supported by slightly balsamic warmth, and by clean sandalwood-laced tannins that flow into a fairly sweet finish with bitter sandalwood overtones. It's more an ammandorlato than an Amarone, and if you like this slightly sweeter style it will drink well either far from the table or with rich, flavorful to piquant cheeses. I would give it 3-5 years to get its bearings before drinking it in any case. Deep black cherry ruby with black reflections and cherry rim. The bouquet is moderately rich, with slightly sour berry fruit supported by balsamic notes and some greenish accents. Harmonious. On the palate it's full, with moderate fruit supported by bitter accents that flow into a clean bitter finish. I'd have liked greater fruit-driven richness than I found, though it is pleasant; I would give it a few years before drinking it, and expect it to become lacy with time. Impenetrable black almandine with black reflections. The bouquet is fairly intense, with powerful cut squash, which is unusual and likely a result of sandalwood-fruit interaction, with delicate spice and plums as well. On the palate it's full and much sweeter than I expected from the nose, with bright plum fruit that gains depth from India ink bitterness, and is supported by sweet tannins that are very smooth at the outset, and flow into a clean sandalwood-laced peppery finish. It's a bit unusual, and because of its sweetness is not a wine I would drink at the table, except with rich cheese dishes. I think that is developing, and though the sweetness will remain I would expect the bouquet and fruit to do interesting things over the next few years. Deep black almandine with black reflection and cherry rim. The bouquet is bright, in a greenish key, with red berry fruit supported by some diesel fuel and warm greenish spice. Considerable depth, and I found it growing upon me. On the palate it's full, and bright, with lively red berry fruit supported by clean sweet tannins that have a peppery burr to them, and by bright berry fruit acidity that carries into a clean berry fruit finish with a lively underlying peppery tang. Quite pleasant, in a lively key, and will drink very well with succulent roasts or stews now, and promises to age well for a decade or probably more as well. In short, a wine for today and tomorrow. Deep black almandine with black reflections. The bouquet is moderately intense, with sandalwood mingled with some spice, and a fair amount of iodine. On the palate it's ample, with moderately intense generic berry fruit supported by considerable peppery spice that flows into a clean spicy finish. I'd have liked more fruit than I found. Deep black lam ruby with black cherry reflections and cherry rim. The bouquet is fairly rich, with bright berry fruit supported by brandied berry fruit and black currant overtones, with some iodine as well. On the palate it's fairly direct, with moderate berry fruit that is supported by tannins that have distinctly bitter overtones, and flow into a clean bitter finish. To be frank, I'd have expected greater richness of fruit than I found; it falls a bit flat. Impenetrable black almandine with black reflections and almandine on the rim. The bouquet is mineral, with some spicy notes and sandalwood, but not much in the way of fruit, and I would have expected more despite its being muted. On the palate it's ample, with moderate berry fruit supported by clean iodine laced minerality and spice, while the tannins are smooth and fairly rich; again, I would have expected more fruit than I found. As things stand, the tannins carry the show and though they do do a good job, fruit would be much better suited for this task. Deep black almandine with black reflections. The bouquet is fairly rich, with dusky red berry fruit mingled with peppery spice and a fair amount of sandalwood-cedar. Brooding, and very young. On the palate it's powerful, with moderately intense berry fruit supported by angry peppery spice and full tannins that have yet to completely absorb the wood they aged in. It needs time, at least a couple of years, though one could press it into service now with a well marbled porterhouse cut. Deep black cherry ruby with some almandine in the rim. The bouquet is fairly intense, with jammy plum fruit mingled with sandalwood and licorice root; it gives an impression of being in mid-stride, and as it opens savory balsamic notes begin to emerge as well. On the palate it's full, and bright, with rich cherry fruit supported by clean slightly mineral acidity and by tannins that are powerful and steely, and flow into a long finish. It is again young, but shows considerable promise, and will drink nicely with stews or roasts, though I would give it a couple of years to get its balance, and expect it to age well for a decade or more. Deep black cherry ruby with black reflections and some almandine in the rim. The bouquet is intense, in a rather haunting elegant key, with cherry fruit that has slight hints of brandied about it, supported by some licorice and hints of savory sandalwood. Pleasant, and augurs well for the future too. On the palate it's full, and fairly sweet, though not quite in the ammandorlato range, with powerful forest berry fruit, in particular black currants, supported by warmth and savory spice, while there is also some citric acidity to provide direction, and it all flows into a warm spicy finish that has a youthful peppery buzz. It's graceful, and though one could enjoy it now with a hearty stew or roast, I think it will profit considerably from more time in bottle. Expect it to age well for at least a decade and probably much more. Impenetrable black cherry with some garnet in the rim. Poured ink. The bouquet is fairly intense, though it gives an impression of being in mid stride; there's spice mingled with iodine and some slightly brandied prunes, while more swishing brings up sandalwood as well. On the palate it's full, in an oddly empty way, with the fullness coming much more from the peppery structure of the tannins than from the fruit -- sweeter than expected cherry plum -- which is overshadowed. It feels like it's in the stupid phase, when a wine shuts down after being bottled, and from whence it may emerge with time, at which point the wine will be fairly lacy. But time will tell. Impenetrable black almandine ruby; poured ink. The bouquet is fairly rich, with bright black currant fruit supported by considerable sweetness and some sandalwood that complements nicely; the overall impression is considerable youth in a key that brings Recioto to mind. The palate even more; the wine is quite sweet, enough to be considered ammandorlato more than Amarone, with fairly rich cherry plum fruit supported by smooth sweet tannins that have a slight peppery burr to them, and flow into a clean fairly sweet finis with sandalwood underpinning. Because of its sweetness it's more a cheese or far-from the table wine, and that is how I would drink it, probably fairly soon to enjoy its freshness. It's particular, and you should only consider it if you like this style. Deep black almandine with black reflections and almandine rim. The bouquet is fairly intense, with sandalwood and some iodine mingled with sea salt, but not much fruit, and though harmonious it somehow brings to mind a person hiding behind a blind. On the palate it's full, with rich fairly acidic cherry and forest berry fruit supported by acidity that's almost green apple, and by tannins that have a warm angular burr and flow into a greenish tannic finish with fruit underpinning that leaves the teeth squeaky clean. The Italian word that comes to mind is acerbo, which means both tart and (when applied to teens) undeveloped; the wine could do interesting things but at present it's a squalling toddler who needs at least a couple of years to come together. I think it will, and that it will drink nicely with succulent red meats in the future, and perhaps be something to meditate over, further into the future. The score reflects the present. Impenetrable black almandine with almandine in the rim. The bouquet is closed, though swishing brings up some sandalwood mingled with hints of iodine and slight sea salt. But not much fruit. On the palate it's full, with the fullness coming more from tannic peppery spice than fruit, and it flows into a warm peppery finish; the impression is oddly cavernous, and brings to mind a person wearing a coat several times too large. Because of its aggressiveness it will work best with succulent roasts, along the lines of leg of lamb, or with hearty stews. Deep black almandine with black reflections and almandine rim. The bouquet is fairly intense, though also still developing; there's prune fruit supported by slight brown sugar and hints of sandalwood laced with cedar and underlying spice. Harmonious. On the palate it's full, and again up in the air, with moderately rich cherry plum fruit supported by tannins that are frankly green and gain depth from bitter accents, while the finish is fairly long, and again fairly green. The overall impression is fairly aggressive, and because of its warmth and power it will work well with rich stews or roasts, including leg of lamb, and also be a good bet with a boiled dinner that includes fattier cuts as well as more lean meats. I'm not sure how well it will age, because greenness tends to remain with time. Impenetrable black almandine; poured ink. The bouquet is closed, though swishing brings up cedar and sandalwood laced with some sea salt, and slight balsamic notes. Not much fruit, though with time some plum does appear. On the palate it's full, with fairly bright peppery spice overshadowing berry fruit; the impression is one of a painting with a cloth thrown over it -- one can see the outline, but not the details. And it all flows into a tart finish with peppery hardwood ash. It needs time, at least a year and likely two to get its bearings, and to be honest I'm not sure how the fruit will emerge. If one were to drink it now, it would work best with succulent roasts along the lines of leg of lamb. Deep black almandine with black reflections and almandine rim. The bouquet is fairly rich, with cherry and forest berry fruit mingled with some sandalwood and slight savory accents, while there's also an airy acidity that adds grace. Harmonious, though also very young, and it clearly has a ways to go. On the palate it's full, and sweeter than I expected from the nose, with bright cherry plum fruit that gains direction from lively rather mineral acidity, and is supported by clean tannins that have a peppery greenish sandalwood burr and flow into a warm peppery finish. Very young, and pleasant enough, though the word that comes to mind as it flows over the tongue is sassy more than finesse, and this is because of its youth. Give it time to develop, and I would expect it to smooth considerably as it does, gaining grace and elegance in a fruit driven fairly international style. Deep black almandine ruby with black reflections and almandine rim. The bouquet is elegant, and rich, with plum and cherry fruit supported by haunting sandalwood and spice with an underpinning of moist brown sugar sweetness. Exotic. On the palate it's full, rich, and fairly sweet, with powerful cherry plum fruit that gains direction from lively balsamic acidity, and is supported by bright slightly greenish tannins that flow into a clean peppery finish. It's pleasant, in a boisterously youthful key, and will drink nicely now with succulent roasts or hearty stews, and will also be a good bet with a rich boiled dinner. I think it will also age nicely, gaining depth and elegance over time. If you like the style, it's worth seeking out. Chronicles say that when San Gimignano was struck by one of the many plagues that swept Italy in the middle ages, they called for help and paid for it in kind, with saffron and Vernaccia. It's certainly possible; Vernaccia is mentioned in the Ordinamenti delle Gabelle (tax regulations) San Gimignano published in the 1200s, and Michelangelo Buonarroti the Younger noted at one point that it "kisses, licks, bites, pinches and stings." Not the sort of thing that will leave one indifferent, and its glorious past is one of the major reasons Vernaccia di San Gimignano became Italy's first DOC wine, in 1966. Unfortunately, being cast into the spotlight did little for the wine. Its sudden notoriety attracted enologists, who made what studies told them the public wanted, with the result that Vernaccia became a light, spritzy thing that was perfect for the millions of people who come to see the city's towers every year, and wanted to take home a couple of bottles as a souvenir. But it did little to excite the interest of serious wine drinkers. Golden yellow that brings certain bodily fluids to mind, with slightly greenish highlights, and very slight cloudiness. The nose is fairly bitter, with gunflint and some smoke, also some petroleum, and mineral overtones. On the palate it's fairly full, and savory, with a fair amount of bitter almond and some acidity as well, though less than in many others. It is in any case defter on the palate than I might have expected. Deep yellow with golden reflections. The bouquet is distinct, with pungent cut flowers and fairly intense herbal notes, with some sea salt as well and some underbrush, and with time balsam. Interesting though more obviously gives an impression of greater age than some of the others. On the palate it's very much alive though obviously well along, with gunflint bitterness, and pleasing savory tannic underpinning. Long rather bitter finish, and it has quite a bit to say. It's rather like looking at an elderly woman and seeing flashes of her youthful beauty. The Vernaccia Elisabetta Fagiuoli makes at Montenidoli is a very different animal. 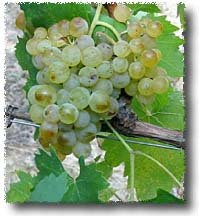 Vernaccia Tradizionale, fermented in cement tanks, with extended maceration of the skins to draw the most from the grapes. It's quite extracted, and tends to be a fairly deep gold, and can be quite charged, especially in a good vintage. It brings back good memories and is very nice with foods. Vernaccia Fiore, from free-run must (what runs from the press before it's turned on). It ferments in cement tanks, and though not as charged as the Tradizionale, does display beautiful concentration and great finesse, especially in good vintages. Of the three, my favorite. Vernaccia di Carato, barrel-fermented free-run must. As a barrel fermented wine it's quite successful, and Elisabetta keeps the oak on a tight leash, allowing the fruit to come through. It is quite elegant, and if you like barrel fermented whites you will find it most impressive. Slightly cloudy gold. Intense bouquet with considerable gunflint and some very tart citrus. On p rich, full, with powerful minerality and underlying bitterness. Quite promising, in a very charged key. Pale slightly cloudy brassy gold. Interesting bouquet, quite delicate, with floral accents and very fresh Great delicacy, and on the palate it's quite rich, with graceful citric fruit. Beautiful wine, will be worth seeking out. Greater acidity and deftness. Pale brassy gold. The bouquet is delicate, with butterscotch and minerality. On the palate it's full, and softer than the Fiore, with clean elegant fruit. Softer than the Fiore, and this is also because of differences in the wood. Will be nice. Brassy gold with brassy reflections. Deft nose, beautiful integration wood and minerality, quite promising. On the palate full and rich, again promising, though there's an underlying softness to it. Great potential, but it's very much in mid-stride. Elegant brassy white The nose is elegant, with butterscotch, laced with gunflint and some citric accents. Quite fresh and a delight to sniff. On the palate it's full, and rich, though a touch lighter than the 2006, with clean savory mineral accents supported by clean acidity. Deft, and also very young. Leaner than 2004, and this is the vintage at work. Brassy gold. The bouquet is powerful, and much more fully developed than that of the 2005 - a year makes a big difference - with elegant butterscotch mingled with bitterness and some gunflint. On the palate it's full, elegant, and quite rich, with ample white fruit and some minerality supported by clean rich citric acidity, which flows into a warm clean acidic finish. Very nice, and though it spent considerable time in wood the wood doesn't mark it at all. Very nice. Ernesto Gentili quietly says, Questi son bianchi che vale la pena -- These are worth-while whites. Extraordinary finesse and it drinks very, very well. Brassy gold with brassy reflections. The bouquet is rich, and slightly caramelized, with butterscotch mingled with hints of gunflint and spice, also white fruit. Quite nice, in a rather rich key. On the palate it's ample and soft, with powerful white fruit supported by moderate acidity and some savory accents that carry into a clean rich savory finish with some sweet accents. Quite nice, though it does reflect a hotter vintage. Brilliant brassy gold. The bouquet is beautiful, with bright acidity and rich gunflint aromas supported by some savory accents and sea salt. A tremendous lot going on, and very exciting. On the palate it's a little leaner than one might have expected, but very bright, with clean mineral fruit supported by gunflint laced acidity that flows into a clean gunflint finish with underlying bitterness. Delightful, and has a great deal to say. Gambero Rosso awarded this wine 3 goblets, its highest rating, and it amply deserves them. Brassy gold. The bouquet is rich, with butterscotch and some caramel, supported by some gunflint and hints of marzipan. On the palate it's ample and soft, with fairly rich butterscotch and white fruit supported by clean slightly bitter gunflint acidity. It is rich, but by comparison with the 2002 lax -- a bit softer and not as bright. Vernaccia comes out best in cooler vintages. Brassy gold. The bouquet is fairly rich, with caramel, and warmth mingled with some wood smoke and some hints of fg minerality with underlying sweetness. Hot vintage. On the palate it's ample and soft, with bright acidity supported by clean underlying bitterness that flows into a clean savory bitter finish. Pleasant, though a touch soft, and this is due to the searing temperatures we had in August that year. Pale brassy gold with brassy reflections. The bouquet is powerful, with clean rich minerality laced with bitter gunflint and savory accents; it's very fresh, vivacious, and has a great deal to say. On the palate it's full, and rich, with powerful white berry fruit supported by savory accents and some bitter overtones, which flow into a clean savory finish. Very nice, and has a great deal to say. Exciting. Brassy gold with brassy reflections. The bouquet is clean, with pleasant bitter gunflint minerality and some savory accents. Graceful. On the palate it's bright, with lively rich white berry fruit acidity supported by clean savory accents that flow into a clean savory finish. Very nice, and quite pleasant to drink. Brassy gold, with clean brassy highlights. The bouquet is eye-opening, with clean rich butterscotch aromas mingled with gunflint and some savory accents, also honeysuckle and hints of mint. A great lot going on, and very impressive. On the palate it's deft, with bright clean white fruit supported by savory accents, citric acidity, and clean underlying minerality that flows into a clean mineral finish. Beautiful wine, and a great delight to drink; you'll find yourself ignoring your friends and talking to the wine. Others at the table are also nodding their heads and smiling. Brilliant brassy gold with brassy reflections. The bouquet is rich, with powerful butterscotch supported by clean rich savory accents and hints of menthol, with underlying alcohol. Very nice, and speaks to us over the bridge of years. On the palate it's full, rich, and elegant, with powerful savory citric fruit supported by clean acidity. Lively brassy gold with brassy reflections. The bouquet is clean, with mineral acidity and some hints of gunflint supported by underlying bitterness. It's steely, in a way one associates more with reds than whites, and tremendously deft and exciting. On the palate it's full, and rich, with clean powerful honeysuckle fruit supported by some gunflint and rich minerality that flows into a clean fresh finish. Extraordinarily fresh, and a great delight to drink. One would never guess it's 18 years old. This is Elisabetta's first Vernaccia; it's brassy gold with some greenish reflections, and one would never guess its age. The bouquet is bright, with clean minerality and underlying bitterness supported by some bitter accents. Great depth and the grapes show beautifully. Franco Ziliani is frothing at the mouth as he goes into ecstasy while tasting the wine. On the palate it's extraordinary, with bright citric fruit supported by citric acidity with beautiful mineral accents that flow into a clean almost creamy mineral finish. I'm running out of superlatives. Brassy gold with brassy reflections. 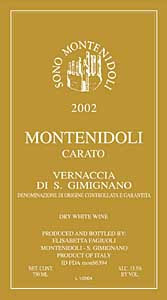 The bouquet is rich, with powerful clean gunflint supported by clean bitter accents; it's rich, and reveals greater understanding of the Vernaccia grape. On the palate it's full, and bright, with clean rich citric fruit supported by clean mineral acidity. Franco Ziliani is saying it's over the top, and he's right. Very, very nice. Brassy gold with brassy reflections. The bouquet is bright, with rich gunflint laced with honeysuckle and bitter almonds with underlying savory accents. Impressive. On the palate it's full, and rich, with clean savory citric fruit supported by clean sweet acidity. It's quite elegant, but a little softer than the earlier wines, though nobody would guess it's entering its majority now. Most impressive. Brassy gold with brassy highlights. The bouquet is impressive, with petroleum and minerality mingled with savory accents and some honeysuckle richness. Beautiful. On the palate it's extraordinary, with bright clean lemony fruit supported by clean slightly bitter citric acidity, and it flows into a clean savory citric finish. Extraordinary wine, and one would never guess its age were it to be presented blind. The stuff of dreams. Pale almandine ruby with almandine rim. The bouquet is haunting, with balsamic notes and warm acidity laced with savory accents and peppery overtones; this is quick to write but there's a great lot going on. Deft, elegant, and fully mature. Great finesse, and you would never guess it's close to 40 years old. On the palate it's full, and bright, with lively berry fruit supported by clean bright slightly bitter acidity that flows into a clean bitter finish, while the tannins are clean and smooth, with a slight angular burr that flows into a clean savory finish. Great depth, combining freshness with elegance and finesse, and (as I said before) you would never guess it's entering middle age. Franco Ziliani says it's the best wine of the day, adding that it's Fuori Misura, over the top, and displays finezza assoluta -- "absolute finesse." It was very good, I agree, but I found some of the Vernaccias to be just as exciting. 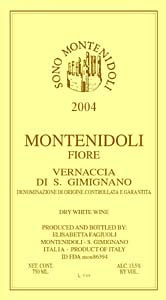 Bottom line: Vernaccia di San Gimignano, and especially Elisabetta Fagiuoli's, is a great delight young, but becomes even better if given time. During the Tuscan vintage presentations, I asked Gary Werner, who writes and edits for Wine and Spirit Magazine, what the English think of Marsala today. "If they've heard of it at all, they think it's a cooking wine," he replied. I winced. Because Marsala as we know it today was developed by an English merchant, John Woodhouse, who docked at the town to escape bad weather in 1773 and discovered that the local wine, a strong white made primarily from the Grillo varietal, is superbly suited to aging, and that the traditional method for aging it was to draw what old wine one needed from the botti after fermenting the new vintage, and then top off the botti with the newly fermented wine. What was in the botti was therefore a collection of many, many vintages, and the aging technique was called "invecchiamento in perpetuum," perpetual aging. Mr. Woodhouse realized this was very similar to the Solera technique employed by the makers of Sherry, in which the wine moves through a stack of casks as it ages, with the winemaker drawing from the bottom cask, refilling it from the one above, and adding the newly fermented vintage to the top cask. So he introduced the Solera technique to Marsala, and, to be certain the wine would survive the ocean voyage to England, fortified it with brandy before he set out. His wine proved a tremendous success, to the point that Mr. Woodhouse returned to Marsala in 1793, bought land, and began to make Marsala himself. 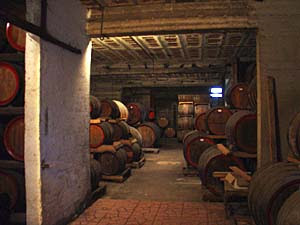 In 1800 Admiral Nelson arranged for the delivery of "the best Marsala" the Royal Navy ships stationed at Malta, and at the same time it found its way into Buckingham Palace; its status as a wine fit for the table of any gentleman was thus established, and soon other Englishmen joined Mr. Woodhouse. The most successful was Benjamin Ingham, who was, when he retired in 1851, the richest man in Sicily. It took the Italians a little longer to get involved, but in 1832 Vincenzo Florio established his winery. He also handled the distribution of his wines, building a fleet to compete with the British merchants that eventually numbered 99 vessels. Marsala was a busy place, and it was here that Garibaldi and his picked volunteers landed in 1860, taking advantage of the English presence, which they (correctly) thought would prevent the Bourbons from cannonading them; Garibaldi's march through Sicily and on up towards Naples led to the unification of Italy under the House of Savoy. Legend has it that he didn't drink when he landed, but something about Marsala captured his attention; in 1862 he returned to the town, tried some, and the style he liked best is still classified as Garibaldi Dolce or GD by some winemakers. So Marsala is good, and it's colorful; during the American prohibition in the 20s its aficionados were so upset by the prospect of doing without that they managed to get it classified as a medicine rather than a wine. But then what happened? Economic upheavals, a world war, unfortunate legislation, and winemakers who cut corners for a variety of reasons combined to thoroughly sully Marsala's image, and with time people, even those who continued to cook with it, forgot there had ever been a great fortified Sicilian white wine. "The old folks still drink it," we were told at a presentation this winter in Sicily, and to be quite honest I would be overjoyed to see others discover it as well. Enough of an introduction: What about the wines? These classes can be further divided into two categories: Vergine and Conciato. Vergine is the original Marsala made by Mr. Woodhouse using the Solera technique from just Grillo grapes, many of which come from vineyards planted next to the salt pans that part of Sicily is also famed for, and which impart a savory minerality to the wine that is absolutely necessary to keep it from seeming thin. The only thing a winemaker can add to Vergine is alcohol to fortify it -- the wine has to be 18% alcohol -- and therefore it is always dry. 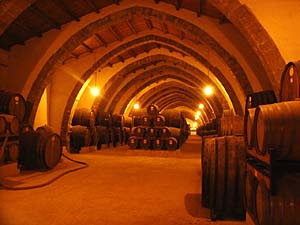 All Marsala Vergine wines are blends of many vintages. Conciato is everything that's not Vergine; the word, which you won't find on any wine label, literally translates as dirtied or tanned (a conceria is a tannery) and refers to the addition of small percentages of concia, or mosto cotto (cooked grape must) which has a profound influence on both the color (amber, gold, and ruby -- made with the addition of red grapes too -- of which there is not much) and the character of the wine; Superiore and Superiore Riserva also have some mistella, which is a mixture of alcohol and fresh grape must. Because of what is added to it, Marsala conciato ranges from sweet, what used to be called Garibaldi Dolce, through Secco, or dry. 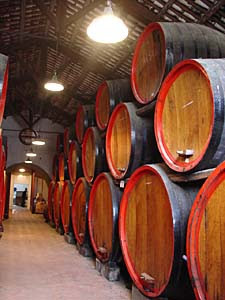 Marsala Conciato can be released in vintages. 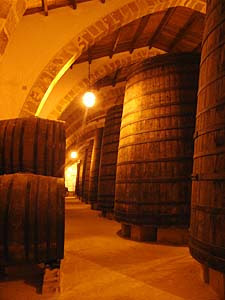 The sweeter renditions, and more specifically Marsala Superiore with quite a bit of sugar, were developed by Benjamin Ingham to compete with sweeter Iberian wines, for example Madeira and Port. The youngest wine in the bottle is 20 years old -- a Marsala's age is reckoned from when the alcohol or concia is added -- and some is likely much older. It's tawny amber with apricot reflections, and ahs a rich nose with walnut skins and oat meal laced with brown sugar and buttery almonds, with very green apricot acidity to give it all direction. On the palate it's clean and bright, with lively acidity and walnut skin and peach pit bitterness supported by alcoholic warmth and hints of oatmeal that flow into a long clean walnut skin finish with sweet brown sugar overtones, slight bitter almond, and lasting bitter savory minerality. Great depth, and extremely elegant, a wine to sip with friends far from the table. Or better yet, a good book that won't object when you get distracted. Tawny amber with apricot reflections. The bouquet is fairly rich, with alcohol and dried figs mingled with walnut skins, bitter almonds, and dried figs. Quite dry, and drier than the Rallo; it has a lot to say but is also clearly less mature. On the palate it's clean and rich, with powerful alcohol-derived sweetness supported by warmth and bitter almond bitterness that lasts and lasts. It's quite graceful, in a tighter key than the Rallo, and brings to mind a well-muscled distance runner -- not an ounce of fat. Very pleasant to sip. This is not a Solera, but rather Conciato; it's tawny pale amber with bright apricot reflections, and has a rich, elegant bouquet with bitter almonds mingled with walnut skins and oat meal. It's quick to write, but there's tremendous depth and elegance that invites one to simply swish, sniff, and smile. On the palate it's rich, in a frankly lascivious key -- the addition of mistella, fresh must and alcohol, which has a more delicate effect than concia, makes for a very different sugar balance with respect to what one finds in the Solera wines -- with moderate sweet oatmeal and brown sugar supported by clean rich savory mineral acidity and bitterness that flows into a clean bitter finish with brown sugar overtones. Very nice, and invites sip after sip. With respect to Marsala Vergine it's much more approachable, and as such would be a fine introduction to Marsala if you've never tried it. Baglio Hopps is one of the older Marsala houses, founded in 1811. Their Superiore is amber with lively apricot orange reflections. The bouquet is fairly rich, with herbal accents and pronounced minerality and spice. Not so much toasted or nutty as quite a bit of sea salt, which almost brings the saltiness of anchovies to mind. On the palate it's bright, and fairly sweet, with lively acidity and considerable minerality that flow into a clean savory finish. It's pleasant but very young, and I found it a bit disjointed. It needs time, something that all Marsala has in abundance. This is a Vergine, produced with the Solera method. It's tawny amber with apricot reflections, and has a rich bouquet with alcohol and walnut skins mingled with some dark brown sugar sweetness; it's quick to write but there's a great lot going on, and it's another of those wines one can sniff and sniff. On the palate it's full and rich, with elegant savory nut fruit supported by warmth and clean hints of citrus that gain depth from alcohol-derived sweetness, while peach pit bitterness provides contrast as things flow into a long, long, long finish. Towering. This is a Marsala Superiore Riserva Semisecco Ambra, and is dark tawny amber with slightly greenish rim. The bouquet is powerful, with dried walnuts and bitter almonds mingled with dried figs alcohol, and savory accents. Quite nice. On the palate it's rich, and sweet, with considerable warmth and dried fruit, figs in particular but also dates, and it flows into a warm savory finish with bitter almonds and brown sugar. Quite enjoyable, and (again) more approachable than the Vergine. This is a gain a Semisecco Ambra, and is tawny amber with greenish highlights and brassy reflections. The bouquet is rich, with hints of mint mingled with brown sugar and sea salt, with underlying walnut skins and alcoholic warmth. Quite a bit going on, and inviting, in a supple, athletic sort of way. On the palate it's full and rich, with elegant savory accents mingled with very green apricot acidity and brown sugar sweetness with hints of oatmeal, and is all flows into a clean bitter finish with bitter almonds supported by sweetness and savory accents, and though this sounds disjointed the wine is quite harmonious and has a great deal to say. It's entering maturity, and the conversation is interesting. It was a nice spectrum of quality Marsala, and though the representative of the Consorzio who presented the wines said that Marsala is traditionally served with Sicilian pastries, I would be much more tempted to consider Marsala Vergine to be a sipping wine to be enjoyed far from the table. The sweeter versions of Marsala Superiore and Marsala Fine will instead work well with dry pastries, and also with creamy flavorful cheeses, including (in the sweeter renditions) formaggi erborinati along the lines of Gorgonzola or a Stilton. The next day we set out for Marsala, which is about 150 km from Palermo. It was a pretty drive, which would have been beautiful had it not rained steadily from the time we left Palermo's city limits. The town of Marsala doesn't have storm drains -- an indication of how dry it usually is -- and we therefore navigated the puddles until we reached Marco De Bartoli, where we looked out at the vineyards behind the winery. They have 12 hectares of vineyards in Marsala, mostly Grillo with some Inzolia (and some red grapes to have red wine) trained low to the ground in the alberello, or bush style. Production is minimal thanks to intensive pruning and green harvesting, and though they aren't certified as organic because doing so would mean surrendering their freedom to the regulators, they practice organic farming. No chemicals, and to limit the growth of grass they use hoes. The same grapes, selected bunch by bunch, go into both young and old wines, and they put everything they harvest into a chill room as it gets to the winery because at harvest time temperatures often exceed 40 C, about 105 F. The grapes are pressed cold, the must is kept chilled for 48 hours to sediment out, and then they start the fermentation with local yeasts. Wines to be drunk young ferment in steel, those to be aged in barriques, and what will become Marsala in upright wooden casks. Yes, Marsala. They said that only 5% of all Marsala made is Vergine or Superiore, and they decided to limit themselves to Superiore and Vergine; as far as they're concerned Marsala Fine is industrial and uninteresting, and I don't know but what they're right. They only add alcohol and mistella, never concio, which, they say, primarily serves to darken Marsala, and -- since it darkens naturally with time -- make it look older than it is. The room with the stacked casks of the Solera system -- small casks above and larger ones below -- was surprisingly cold, due to the absence of glass in the lunette above the door, and Marco's sons told us this was intentional; Marsala needs the hot summer and chill winter gusts to develop properly. After the tour we sat down to taste whites. This is an unfiltered Grillo, and is a lively brassy gold with brassy gold reflections. The bouquet is quite rich, with herbal notes and alcohol mingled with minerality and green apricot accents; there's considerable depth. On the palate it's rich, with powerful vegetal-laced green apricot fruit with intriguing almond skin bitterness and slight smoky overtones that gain depth from hints of iodine and flow into a long finish with lasting bitterness and savory accents. It's a new wine, fermented in barriques, and though the wood isn't really obvious it does add a degree of depth that wouldn't otherwise be there. Quite nice. Made from the same grapes, though they stay longer on the vine, loosing acidity and concentrating sugars enough to go from 14 to 16% alcohol. 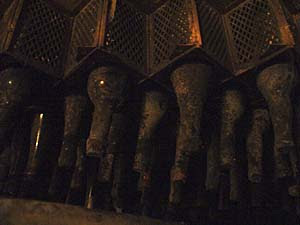 The wine is then ages using the Solera technique, and is called ventennale (twenty years) because that's the average age of what goes into the bottle (some parts of the blend can be as young as 7, and others as old as 50). Though they make it without adding alcohol, they classify it as a vino liquoroso because its natural alcohol content is high enough that people have accused them of fortifying it. It's tawny amber with brassy apricot reflections, and has a very rich bouquet with savory accents mingled with walnut skin bitterness and heady dried fruit and nutmeats. Great depth and elegance, and it speaks volumes. On the palate it's full, with rich minerality and clean dried almond-nut flavors laced with underlying dried fruit, coupled with a delightful languidity derived from the elements drawn from the wood over the years. And it lasts indefinitely. This is one of those rare wines you find yourself remembering -- as if you had just taken a sip -- days later; in a very sense a wine like it must have been what impressed Mr. Woodhouse when he landed in Marsala, and shown him the potential of the land. Well worth a journey. The mistella was added to wine that was up to 20 years old in 1986,and it has been in cask since then -- just one cask. The wine is tawny amber with greenish brown rim and apricot highlights. The bouquet is rich, and elegant, with greenish accents -- green almonds and some oatmeal sweetened by brown sugar and dates, with walnut skin bitterness as well. Great depth. On the palate it's rich, warm, and engaging, with bright dried apricot fruit supported by bitter accents, a combination of walnut skins and peach pits, with underlying sea salt, and it flows into a very long warm bitter finish with hints of oatmeal woven into the bitterness. It's deceptive; it only seems simple, while in reality there's a terrific lot going on, in a slightly richer key than the Vecchio Samperi, which I found to be tighter. It doesn't get much better (or much more impressive) than this, and we left Marco de Bartoli's for Cantine Florio with heavy hearts. Florio is down by the waterfront, where Mr. Florio's ships could easily dock to take on wines, and is enormous, with three parallel aging halls well over a hundred yards long that bring the aisles and nave of a cathedral to mind; the buildings slope gently, allowing hot air to flow up along the ridge beam and thus guaranteeing ventilation, while the floors are once again packed earth (the health people had forced them to cement everything over, but have relented) that allows the proper humidity, and also cools the halls through evaporation. The halls contain a mixture of barrels, horizontal casks, and huge upright casks of the sort pictured here, one of which was taken to NY for a World's Fair in 1915. 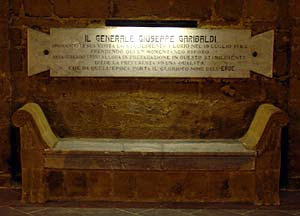 The sense of timeless peace is remarkable, and if you're historically minded you will much enjoy both the marble couch where Garibaldi tasted Marsala in 1862, and the markers on the walls commemorating the visits of the King and Il Duce, who seem to have visited both together and separately. I could have continued to wander among the casks for much longer than I did, but we had wines to taste. Amber with apricot reflections and some greenish notes in the rim. The bouquet is fairly intense, with alcohol and walnut skins mingled with minerality and sea salt, and some rich brown sugar with underlying vegetal notes too. Nice depth, though clearly young. On the palate it's full, with bright walnut skin and bitter almond nutmeats supported by tannic structure from wood that flows into a long clean finish with tannic bitterness and alcohol, with savory accents as well. It's soft both because of the alcohol, and because there are some sugars, which are intentional: they use their sweetest grapes to make their Vergine, and some of the sweetness remains when they add the alcohol prior to beginning the Solera treatment. Elegant, though at the beginning of a long climb; if you must drink it now it will be nice after dinner. Tawny amber that's slightly darker than the Terre Arse. The bouquet is fairly rich, with deft brown sugar and dried apricot supported by walnut skins and alcoholic warmth as well as a bit of marzipan and some chestnut leaves. Elegant. On the palate it's full, and rich, with bright walnuts and bitter almonds laced with some brown sugar, and it flows into a clean, long, slightly tart finish with pleasing bitterness. Elegant, though very direct, and this is clearly a factor of youth; it has a long life awaiting it. We finished on a very different note, with a Florio's Passito di Pantelleria, a wine made from Zibibbo grapes that varies considerably from producer to producer: Prducers harvest some grapes immediately and put them out to dry, while leaving others on the vine longer and pressing them as soon as they come into the cellar; the relative proportions of the two kinds of Zibibbo give the individual wines their distinct characters. Having said this, Florio's Passito is pale tawny amber with brassy reflections, and has a rich bouquet with a great lot of sugar mingled with floral accents and dried apricots, which provide brightness and sweetness, with underlying marzipan and clover honey. The nose is frankly tremendous, but the concentration of the aromas is such that the wine can digest its sugar content -- 140 g/liter -- without seeming cloying. On the palate it's rich, full, and sweet, with dried apricot and date fruit supported by deft dried apricot acidity that brings a sunburst to mind, and flows into a clean sweet finish. Quite pleasant in an opulent key that brings a starlet to mind -- lots of curves and quite eye-catching -- but after having tasted systematically through a number of Marsalas, for all its heart-throbbing lusciousness it fell flat -- what you see is what you get, and though it is a nice package indeed, it simply doesn't have the depth nor the ability to carry an interesting conversation that Marsala has. This said, it is eminently approachable, and if you like passiti you will like it very much. The bottom line is that Marsala is a small, but potentially beautiful universe; though the Fine grade can be pleasant, things become interesting, and sometimes spellbinding with Marsala Superiore Riserva and Marsala Vergine. If you have never tried one, but like fortified wines, prepare yourself for a real treat. A final note: Marsala is, like Sherry, an oxidized wine. It won't go bad when exposed to air, and indeed some of the older Marsala houses have wines that have been aging in cask for decades (the Germans drank what they could, so what survives from before the War is in bottle). These older wines can be absolutely extraordinary, and should you come across an old, or even ancient bottle someone hid in a nook or cranny of your house years ago, say a prayer of thanks. It could be wonderful, even after a hundred years.